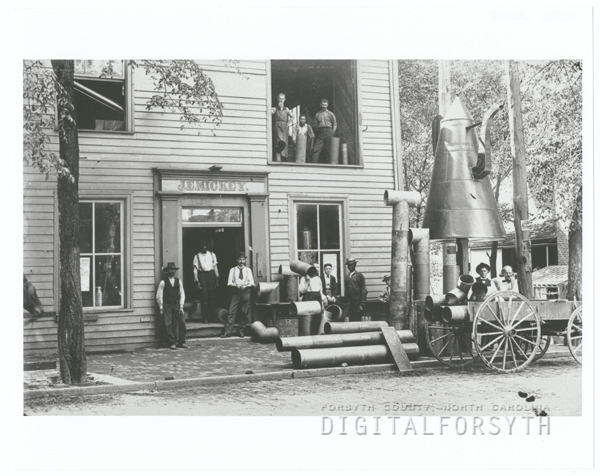 Digital Forsyth | J. E. Mickey shop on South Main Street, with the coffee pot in front, 1899. Home › Photos › J. E. Mickey shop on South Main Street, with the coffee pot in front, 1899. J. E. Mickey shop on South Main Street, with the coffee pot in front, 1899. The business was located at the corner of Main and Belews Streets.